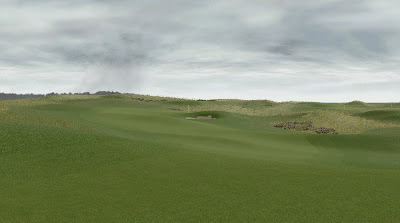 Glenmarnock's 6th hole is a short par 3 measuring 156 yards. Situated at one of the high points of the course it offers to golfers panoramic views of the surrounding holes. 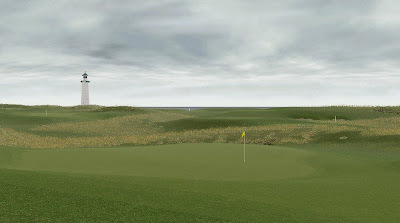 The best approach is to aim left of the deep front bunker and work a high soft fade towards the middle of the green. When the wind blows, you must avoid being short as this cavernous bunker is almost a 1 stroke penalty in itself. Missing left of the green is a "good" miss on this hole.